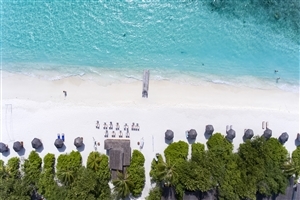 Found on an idyllic island in the stunning Baa Atoll, indulge yourself with a stay at the fabulous Reethi Beach Resort. 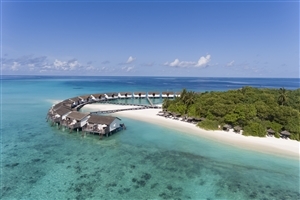 Only accessible through a half hour seaplane flight from the Maldives capital of Male, this hotel is pure luxury and gives you the chance to relax in an unspoilt setting. Made from natural materials, the villas are spacious and stylish as they sit in the foliage that fringes the stunning white sands. 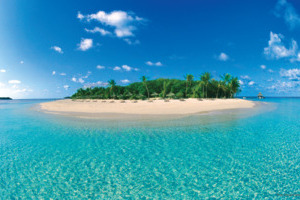 It is a relaxed and peaceful tropical island with sapphire waters in a stunning climate year-round. 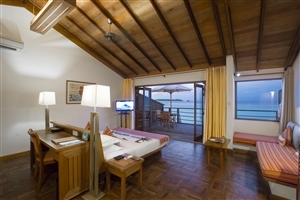 Enjoy water sports like sailing, canoeing, waterskiing and kite surfing or spend your days sipping drinks on the beach. Snorkelling and scuba (there is a PADI 5-star dive centre) are also available as you explore the underwater marine life of fish, octopuses and turtles with a slight chance of seeing dolphins too. 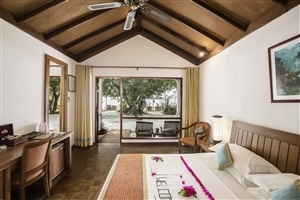 On land, this is a gorgeous resort to walk around and explore and the sports complex includes a fitness centre along with badminton, squash and tennis courts. The surroundings are stunning, the clear waters inviting and even the dining options are good. There are bars and restaurants aplenty to cater for your every need, whether you are half board or all-inclusive. 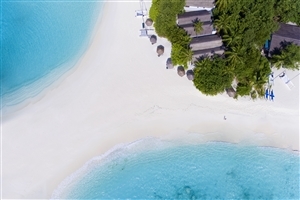 A wonderful place to make memories, the Reethi Beach Resort in the Maldives is an unspoilt paradise. 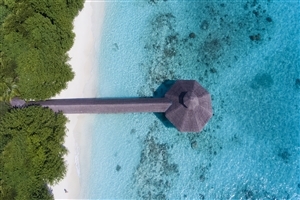 The scenic location is a seaplane journey from Male and offers stylish, natural villas with soft white sands and crystal clear waters. 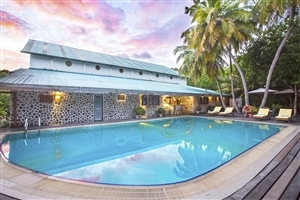 Spend the day lying on the beach or exploring the underwater marine life as you relax in high-class luxury on Fonimagoodhoo near the Baa Atoll. The tiny island has an interior of lush vegetation fringed by stunning sands and a reef that’s less than 100 metres from shore. Only 15% is built on and the 120 villas house the only people you will see on the island. The spacious accommodation comes with air-conditioning, television and a mini-bar to make your stay as comfortable as possible. Five restaurants and five bars keep you fed and watered during your stay while there are plenty of activities. From excursions to the spa to water sports to the sports centre to the word-class diving school, you can expect a five-star, blissful stay in paradise. 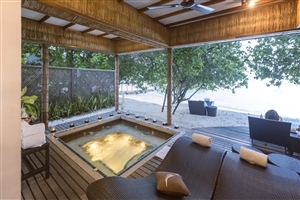 With the stunning sandy beach just a few steps from the front door, the Reethi Villa is ideal for guests who love to relax on the sand or enjoy an array of exhilarating water sports. 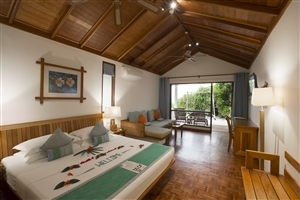 Set in 38sqm of accommodation space, all the resort’s Reethi Villas allow guests a wonderful closeness to the Maldivian climate with a partial open-air bathroom and shower, along with their own private terrace. 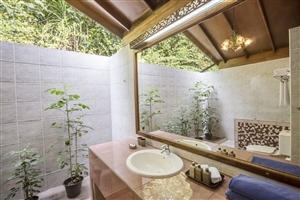 With a generous 47sqm of accommodation space, the Deluxe Villa offers breath-taking views across the glorious Indian Ocean, and it located right by the beach. 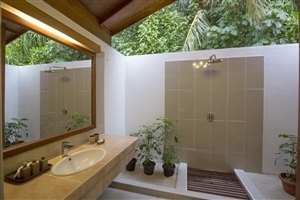 Relax in the spacious tub and feel the refreshing tropical breeze in the Deluxe Villa’s partial open-air bathroom, or unwind on a Maldivian swing on your own private terrace. 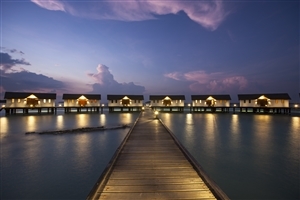 Standing proud on stilts over the glittering lagoon, the Water Villas each offer 61sqm of accommodation space. Wonderful intimacy and generous additional amenities such as a DVD player, a large sitting area and a generous private balcony make this an exclusive and entirely comfortable experience. The Rehendhi – Enjoy buffet-style dining with a shifting theme at this main restaurant. 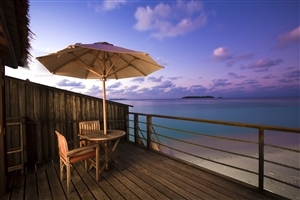 Moodbu Bar & Restaurant – Feel the sea breeze as you chill out at this on-stilts bar hut and restaurant. 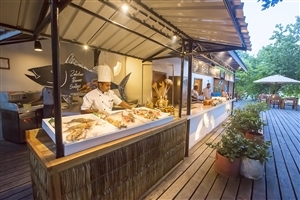 Reethi Grill – Gaze out across the sea at this open-air diner that features tandoori, wood-fired pizzas and grilled specialties. Alifaan – A casual place ideal for snacking on things like burgers, pizzas and crepes. Saima Garden – This romantic and exclusive restaurant has a beach location with just five tables on offer. 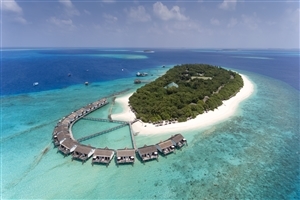 Perfect for a special occasion, you get great service with international and Maldivian options. 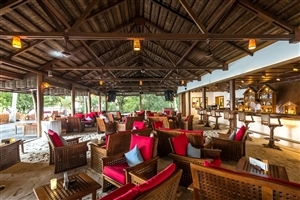 Rasgefaanu Bar – With an open-air deck, this is the main bar in the resort. Offering a variety of beverages, and coming with a games room, it is the social hub. Veyo Bar – Found near the sports centre, it is a great place to get refreshed after a little activity. 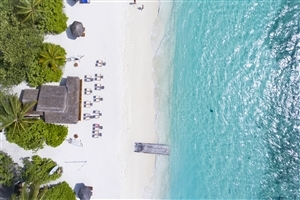 From health drinks to ice creams to cocktails, enjoy a beautiful part of the beach from this relaxed bar. Sunset Bar – Perfect for watching the sunset, this bar sits on the sands of the beach and serves drinks and snacks.